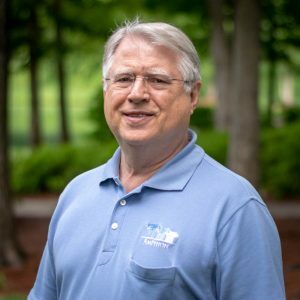 Mr. James Page has experience in all phases of design and analysis of process equipment, boiler, and pressure and atmospheric vessels. This experience includes an extensive knowledge of the American Society of Mechanical Engineers Boiler and Pressure Vessel Code, American Petroleum Institute Standards, Underwriters Laboratory Standards, and various insurance underwriters’ guidelines. He has developed inspection programs, repair procedures, and specifications for process equipment, boilers, cranes, and both pressure and atmospheric vessels. Additionally, he has directed the on-site inspection and repair of process equipment, boilers, and vessels in the United States, Canada, Mexico, Peru, England, Switzerland, Holland, Luxembourg, Guatemala, Columbia, Venezuela, Argentina, Chile, Germany, India, Malaysia, Philippines, Indonesia, Australia, New Zealand, France, China, Taiwan, Slovenia, and Italy. He has provided consultation for process equipment, boilers, and vessels in South Africa, Zaire, Greece, Jamaica, and Costa Rica. Mr. Page is experienced in the area of nondestructive testing of metals and other materials. This experience includes the technical and managerial direction of projects, including radiography, ultrasonic, magnetic particle, and liquid penetrant investigation of building structures and manufacturing equipment. Mr. Page has a broad range of expertise in the structural design, analysis, integrity evaluation and assessment of the superstructure and foundations of industrial, commercial, institutional, process equipment, cranes and bridge facilities utilizing steel, concrete, and wood. Included in this experience is the remediation of the excessive vibration amplitudes of rotating equipment, support structure, and foundations. This has required an extensive knowledge of the codes, specifications, and regulations related to design and construction and miscellaneous structures. He has worked extensively as a consultant to OSHA, both federal and state agencies, in root cause failure analysis and workplace hazard remediation. Mr. Page has provided expert witness consulting services for a number of clients involved in litigation. This has included consulting with owners, OSHA, and their legal counsel plus providing depositions and courtroom testimony.